Home/Mentoss/Grooming Tips/17 Best Modern Pompadour Haircut For Men – Pomp It Up Dude! 17 Best Modern Pompadour Haircut For Men – Pomp It Up Dude! 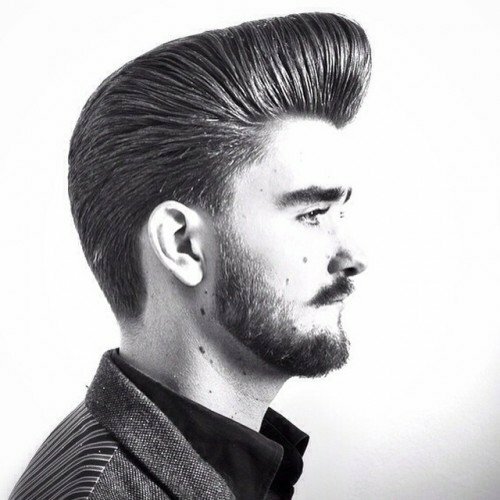 Get noticed with a super cool pompadour haircut. 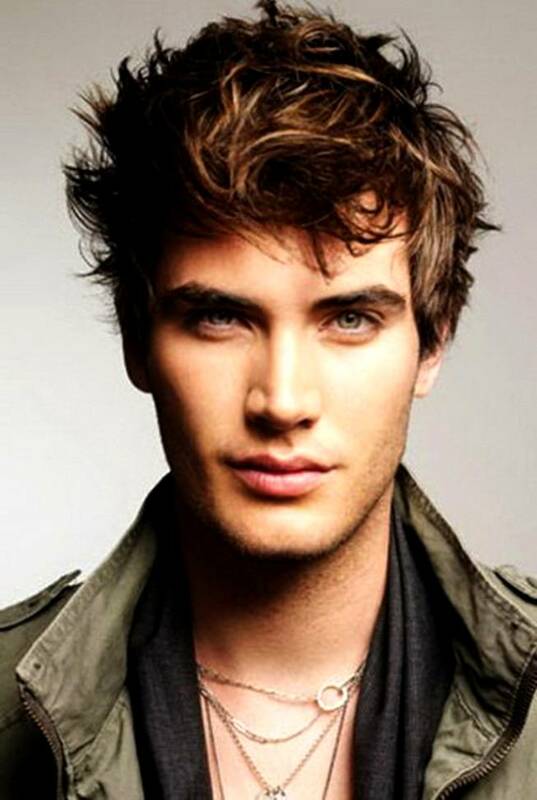 In this collection we have 15 awesome variations of this classic men's hairstyle! The Pompadour is a hairstyle that was originally named after Madame de Pompadour, who was King Louis XV mistress. It predominantly remained a female’s haircut until one man, nothing short of a rock god, made it extremely famous. Yup, Elvis Presley made the world go crazy for the pompadour. So, what is the pompadour exactly? The pomp hairstyle features short hair on the back and sides with long hair on top. What makes the pompadour unique is the large volume of hair in the front (the “pomp”) that gradually recedes towards the back of the head. They come in all forms: big, really big and tall, with a side part combover, with a bald fade, hi lo fade, or just your classic cut clean and short on the sides and back. 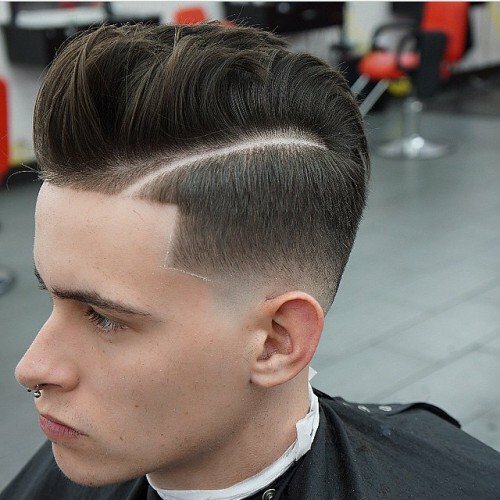 While the classic style typically has long sides that are slicked back, the modern pompadour falls under the “short sides, long top” style by coupling the signature look on top with some sort of tapered fade on the sides (skin, low, mid, or high fade). 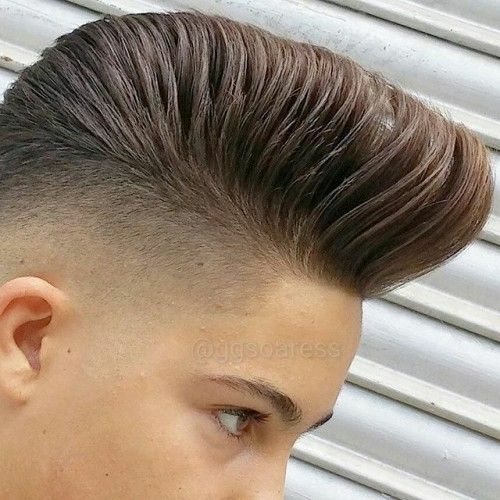 The modern look is also sometimes known as the fade pompadour.